The headlines tell us our children are getting fatter. We need to motivate them to move more and what better way than to develop an active learning strategy. In this post, Sinéad Rocks, Director of Education, BBC outlines an initiative from the BBC and the Premier League to show how you can get your pupils active through the day Studies show that positive physical activity can boost children’s and young people’s self-esteem, enhance their mood, and help them develop stronger and more varied friendships. Recent advances in brain science also leave little doubt that physical activity helps brains work more effectively. It improves cognition, concentration, attention, memory, planning and a host of abilities that are fundamental to educational success. This all suggests that giving children the opportunity to be more active in school can lead to numerous benefits both to their learning and their fundamental sense of well-being. However, the challenge for schools is how to increase the amount of activity children can actually fit into the school day. One solution is to develop an active learning strategy so that children are more active as they learn. In primary schools, fifty to seventy per cent of classroom time is spent sedentary, so there’s lots of potential to be more active(). If this all sounds like yet more work for teachers, rest assured – it’s not. 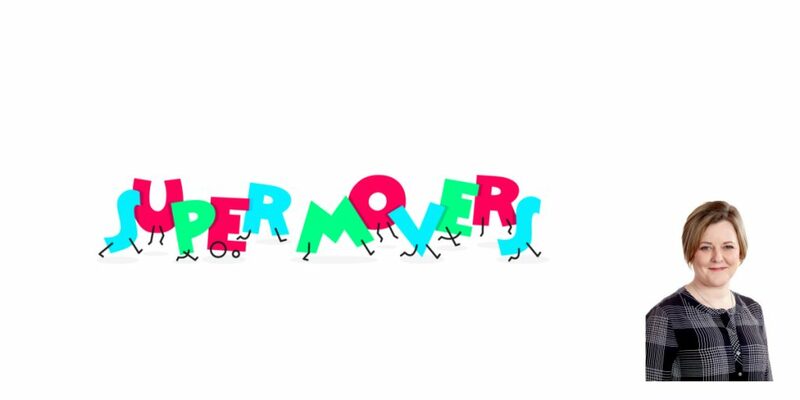 We’ve worked closely with teachers so that Super Movers provides an easy way to integrate more movement into lessons, and there are lots of free, curriculum-linked resources to use at the click of a button. Most are linked to key literacy and numeracy concepts but there are also some that are just for fun.